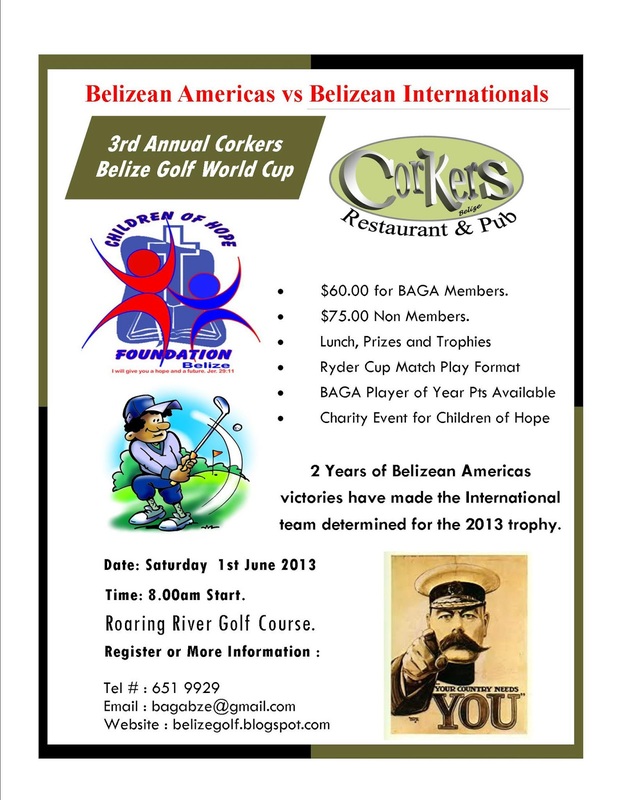 Saturday, June 1st is the Corkers World Cup. See poster below. Team Captains Alan Graham and John Sansone and will be making the draw for the first matches on Thursday morning and sending out the pairings/tee times on Thursday afternoon, so please confirm by Wednesday night to guarantee a place in the tournament. 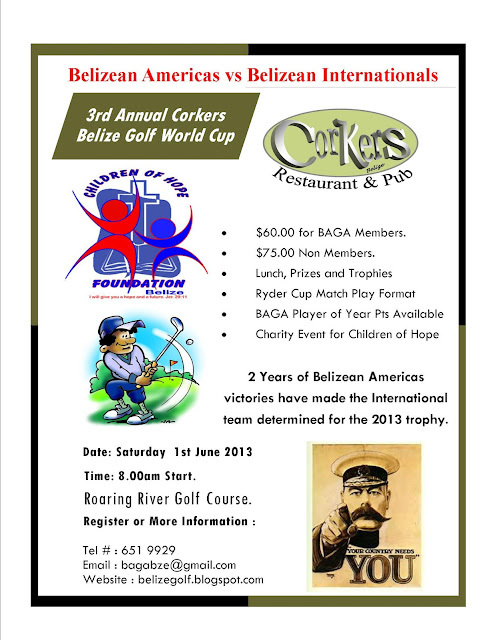 Belizean Internationals need to win to wrestle the trophy from the Belizean Americas. The Americas team only need a draw to retain the trophy and add to their 2011 and 2012 victories. Each Player on the Winning Team Receives Corkers Polo T-Shirt and Trophy. Plus Trophy for Team Hero (Player who wins the most holes for his team) and 5th Wheel (Player who loses the most holes for his team).